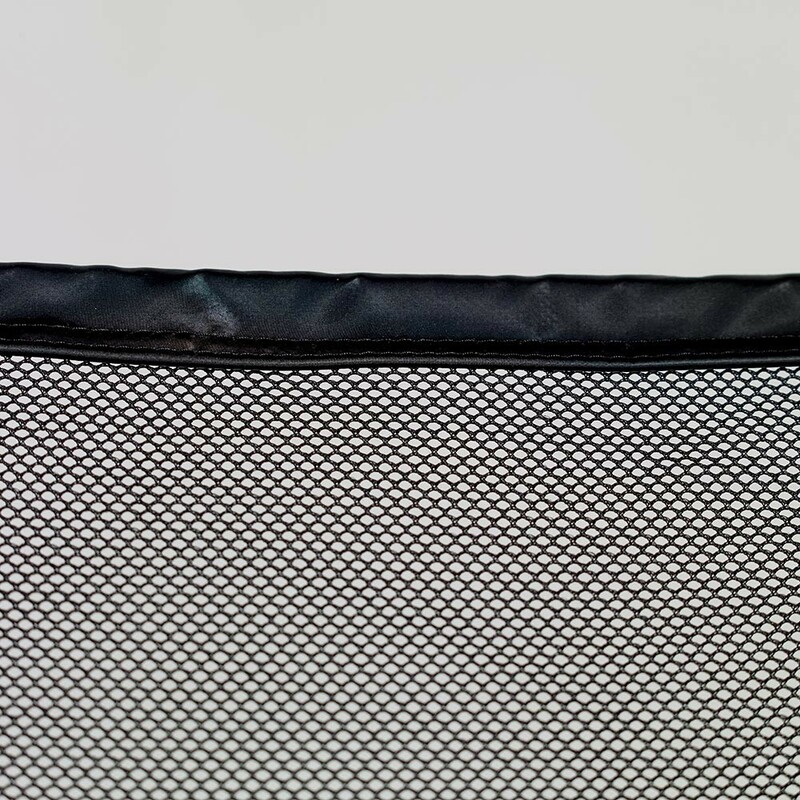 Lateral enclosure for rectangular Apollo Sport 300 trampolines. 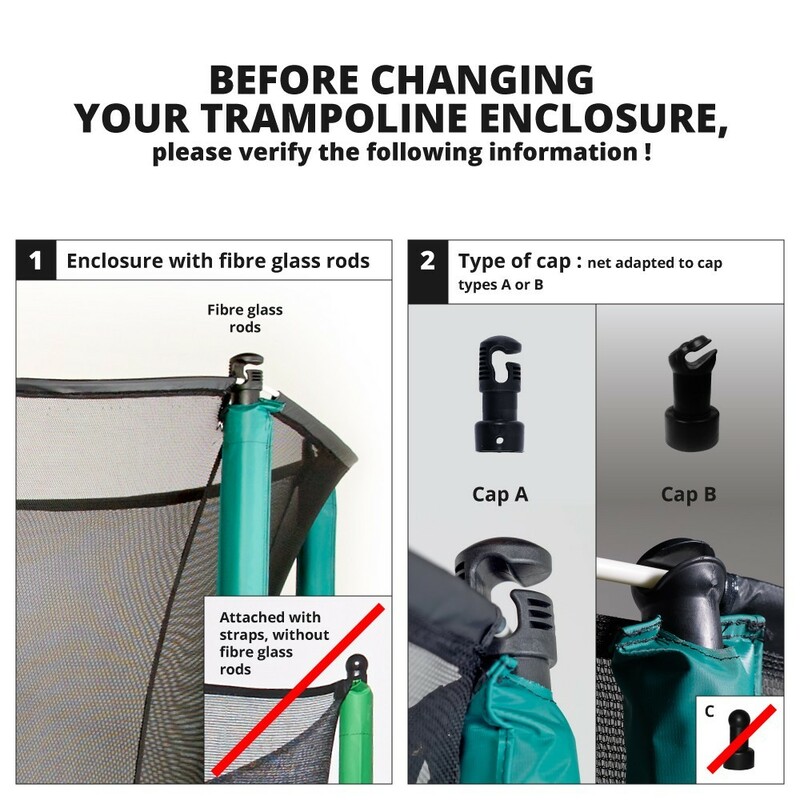 Our enclosures make your trampoline a safe environment for all users. Thanks to these enclosures, the risk of falling from the trampoline and injuring yourself is close to zero. 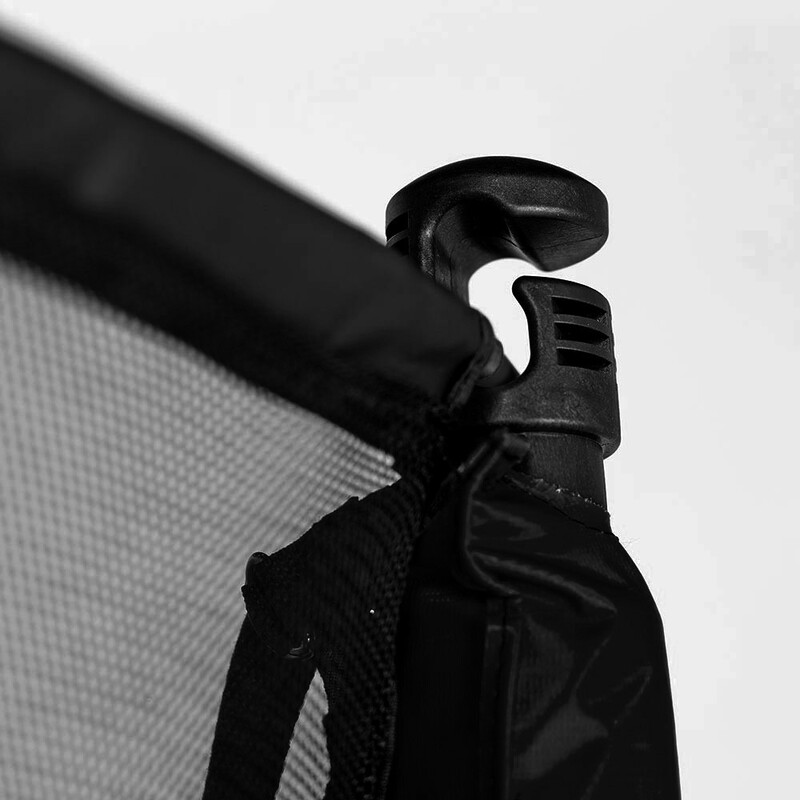 This model is adapted to the Apollo Sport 300 trampoline. - For maximum safety, the entrance to the enclosure is overlapped. 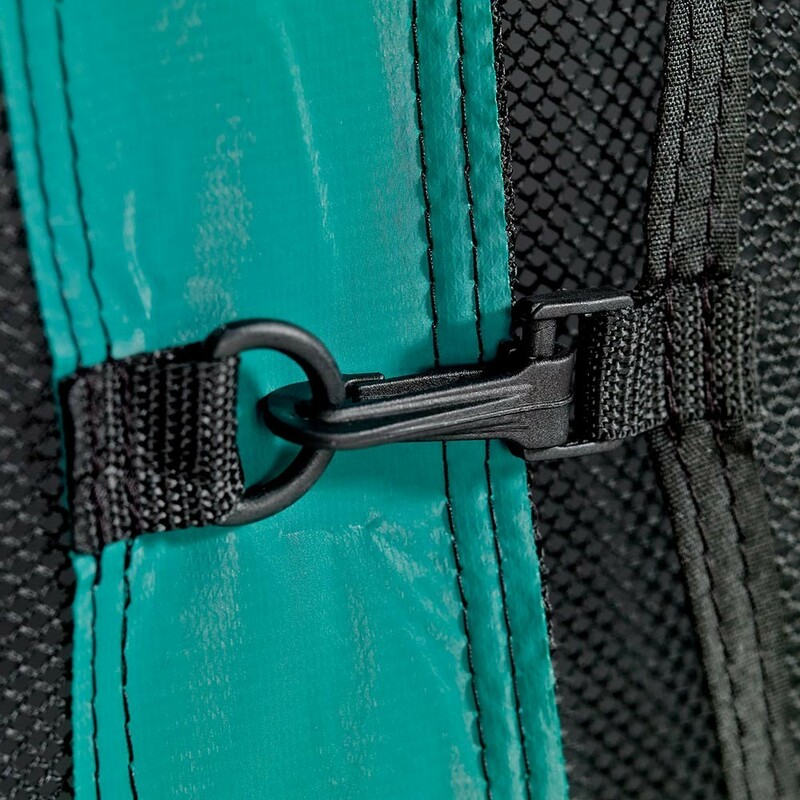 It can be opened from the inside using Velcro strips and from the outside using several clips. 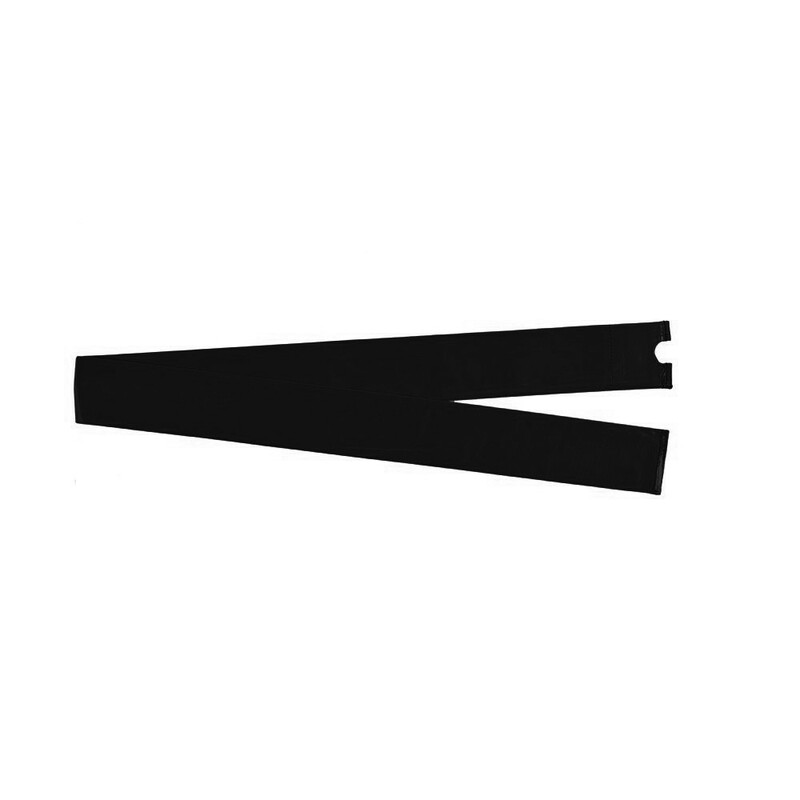 - The double layered enclosure is more resistant and qualitative. The netting on the enclosure is very tight, meaning that children cannot get their fingers caught and injure themselves. - The enclosure is fitted underneath the frame pad, so that no space is left between the enclosure and the frame pad. 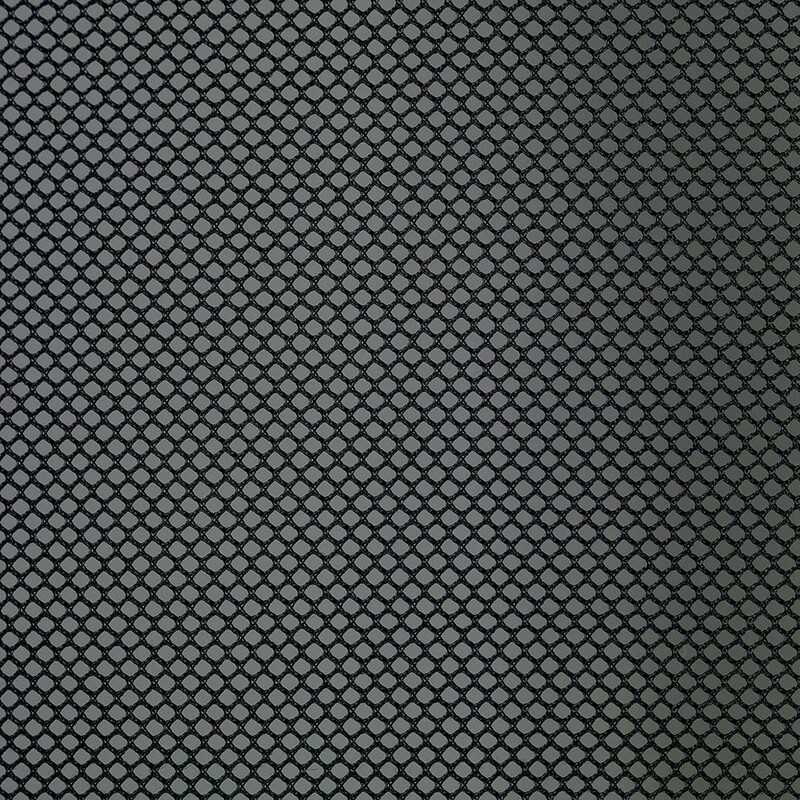 Users are unable to fall between the frame pas and the enclosure. 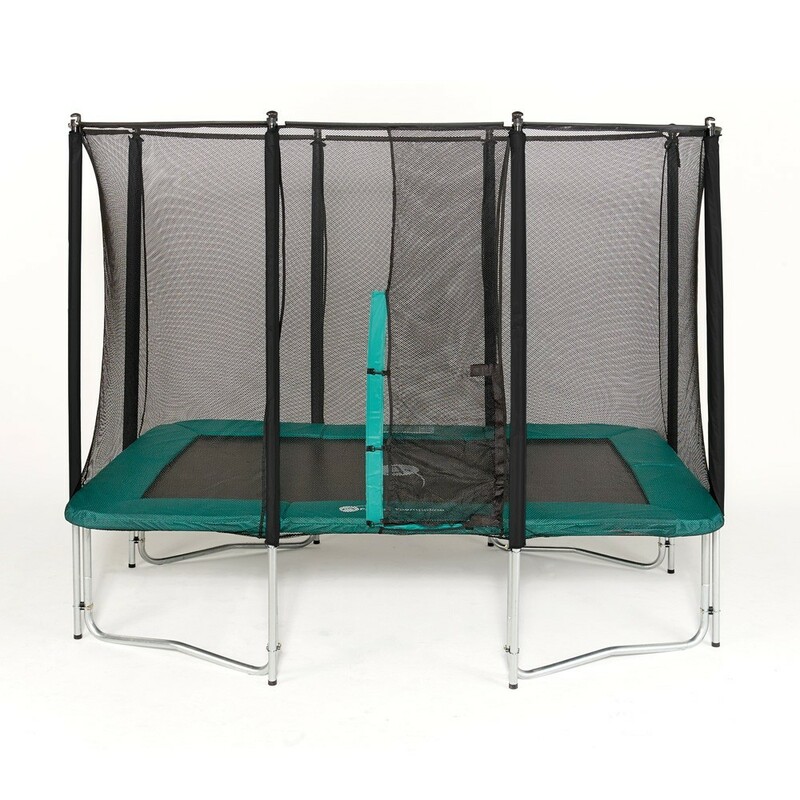 - The enclosure is made up of 8 nets posts with a 38 mm diameter, which solidifies the structure of the trampoline and maintains stability. 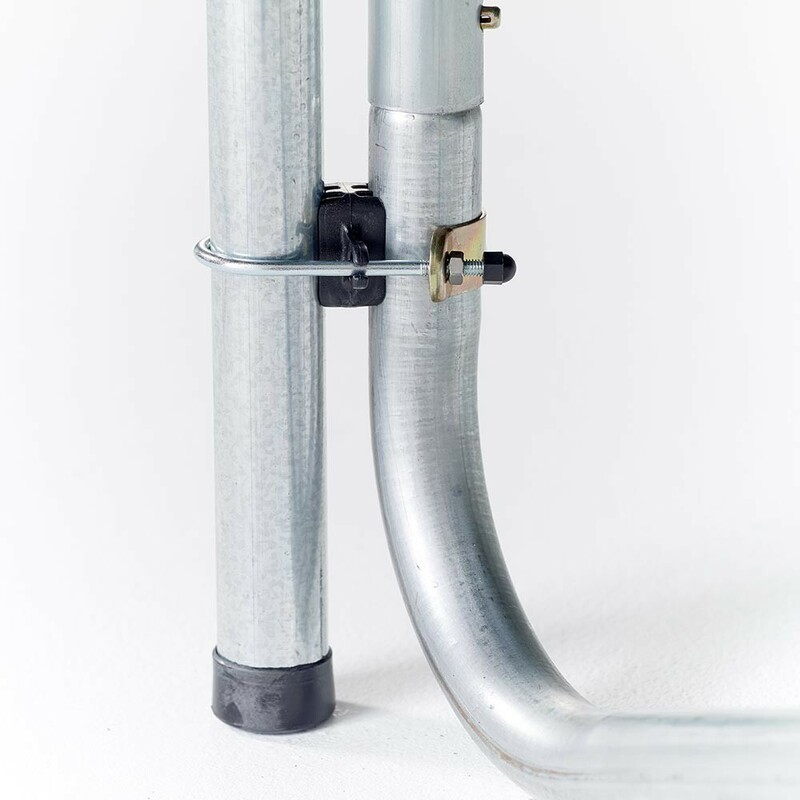 Our posts are made using galvanized steel, allowing them to be shock resistant and long-wearing. 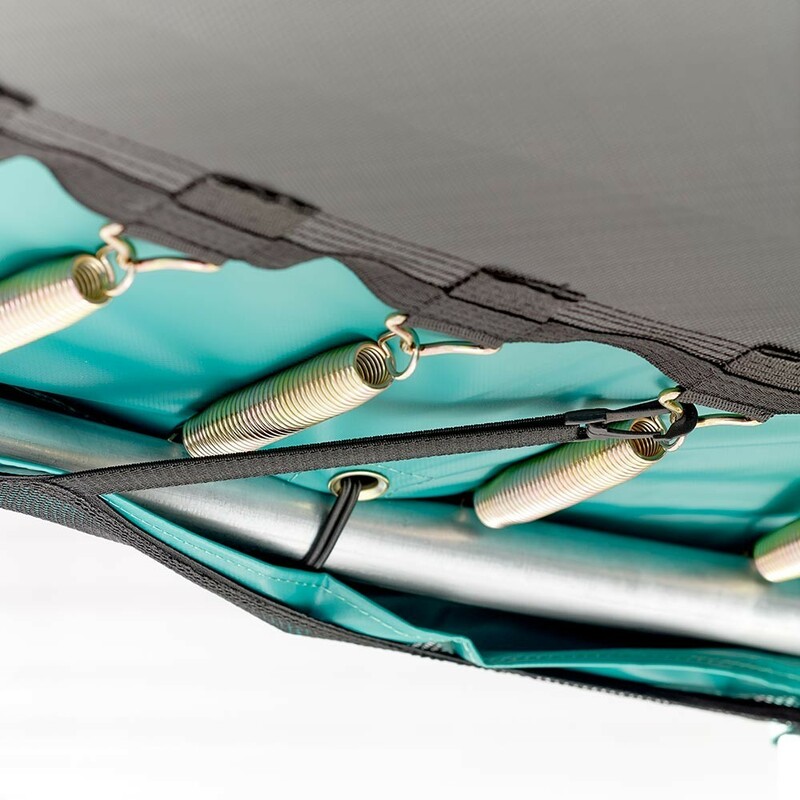 They go all the way down to the ground, alongside the legs of the trampoline, to deliver maximum stability. 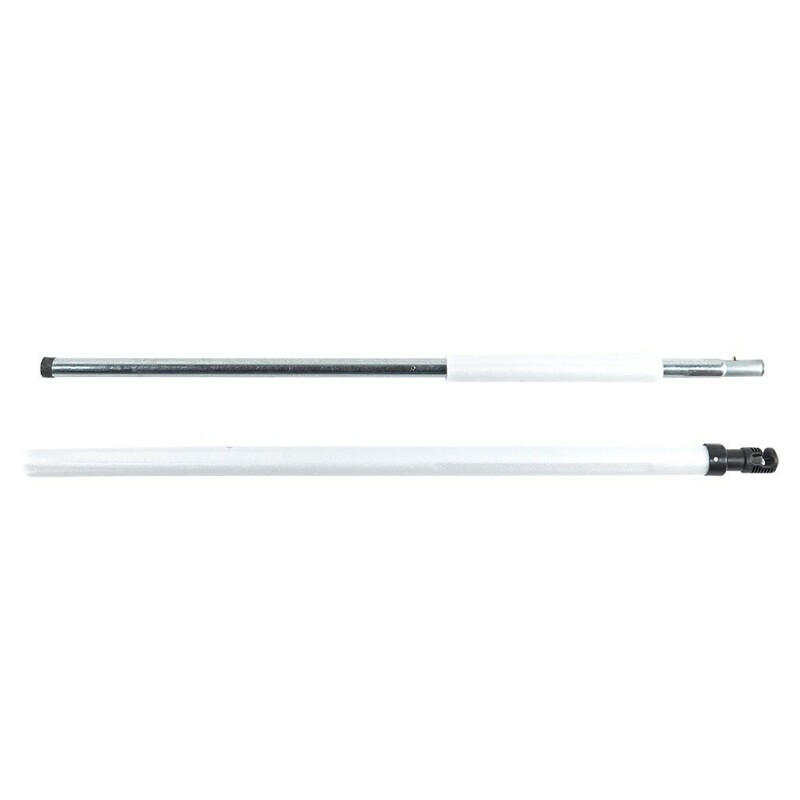 - Our posts have not been screwed into, making the anti-corrosion treatment more long-lasting. 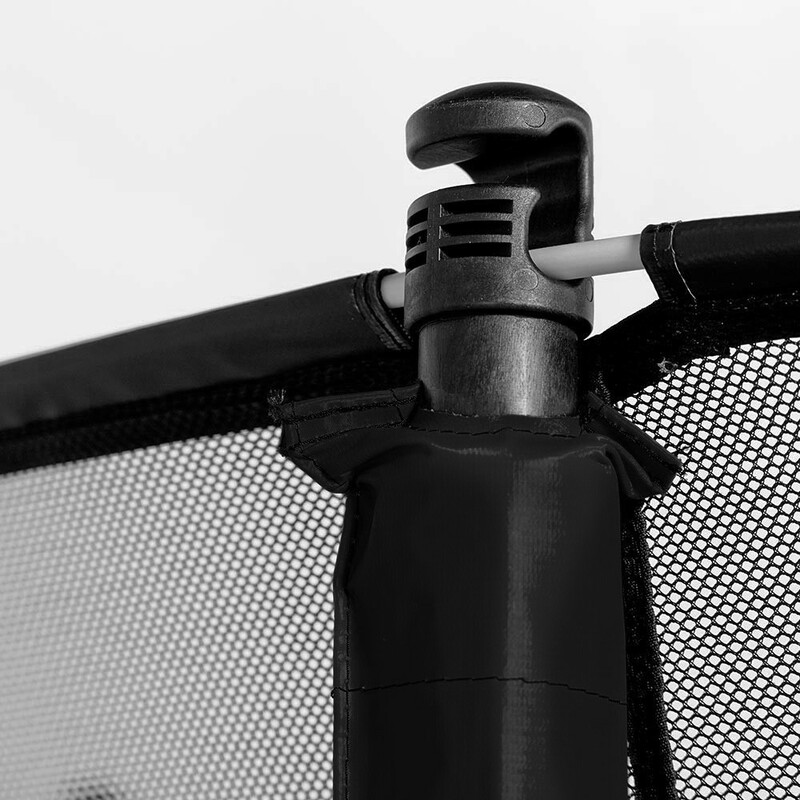 In order to fit the enclosure to the trampoline, each net post has 2 brackets, replacing any screws which would need to be drilled into the posts and would damage the galvanization. - The posts are covered in shock-resistant foam and green PVC covers, which have been UV protected. 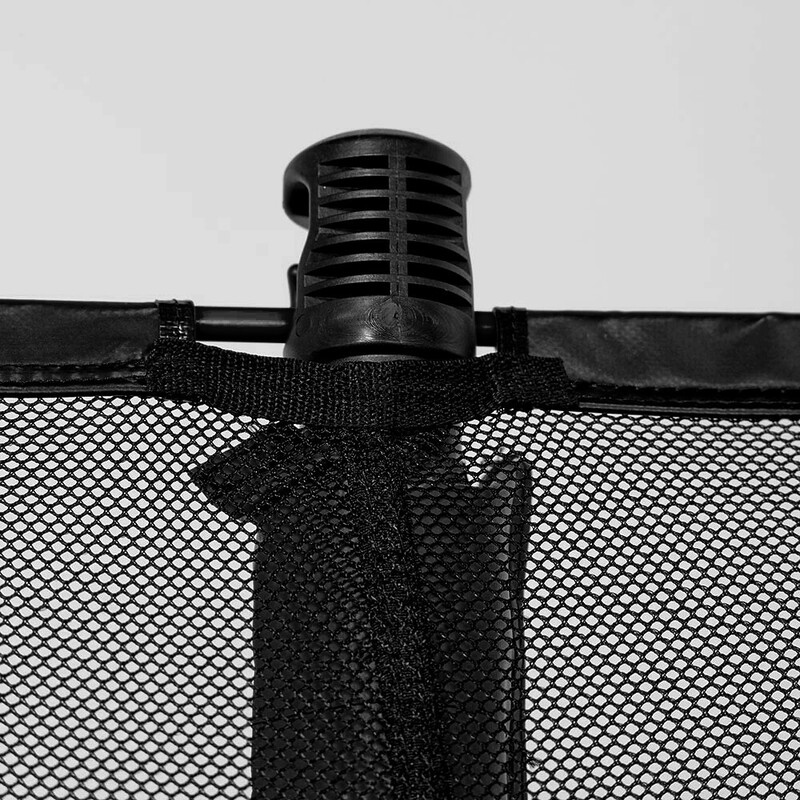 - On top of the netting, fibreglass rods have been used to shape the net. Highly aesthetic but also very solid, they give permanent tension to the enclosure to provide even more security. 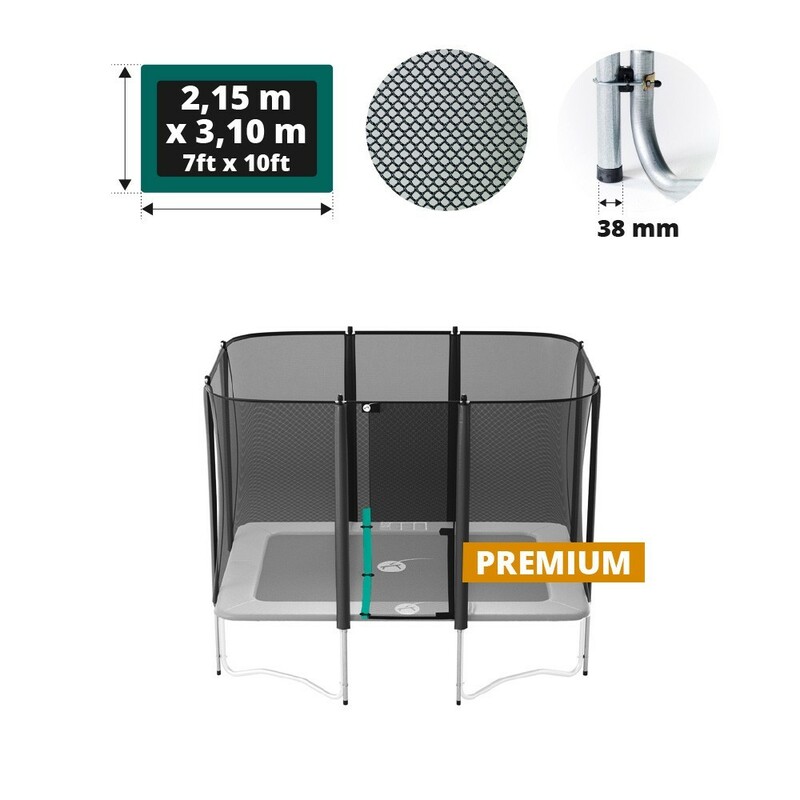 This enclosure is adapted to the rectangular Apollo Sport 300 trampoline with 4 feet or any other rectangular trampoline of 3.10 m by 2.15 m.